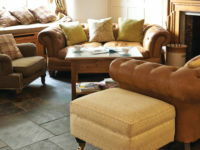 Slate tiles have become a hugely popular option for many people across a number of different rooms. 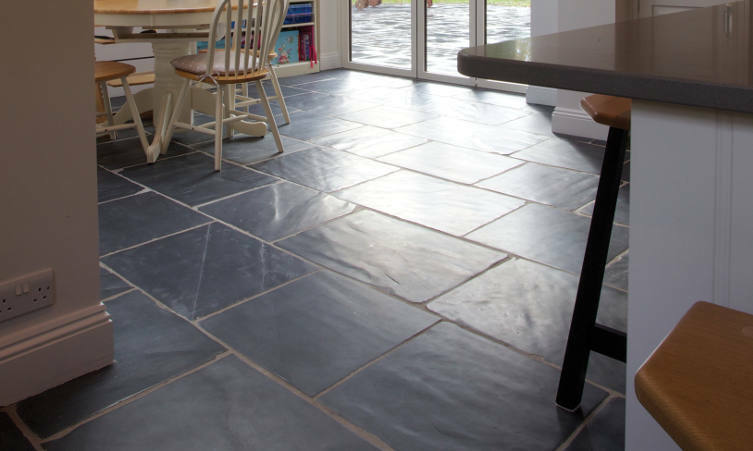 Slate tiles can regularly be found as flooring in kitchens, bathrooms and other rooms across both traditional and contemporary home designs. 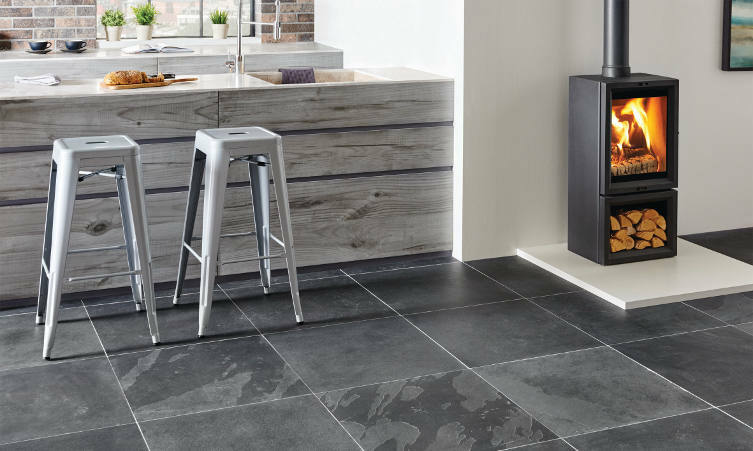 The range of different colours, textures and patterns make slate a versatile material that can be used for a number of applications, including flooring and cladding. Slate is built from a fine grained rock, consisting of tiny clay minerals and small amounts of quartz and calcite. 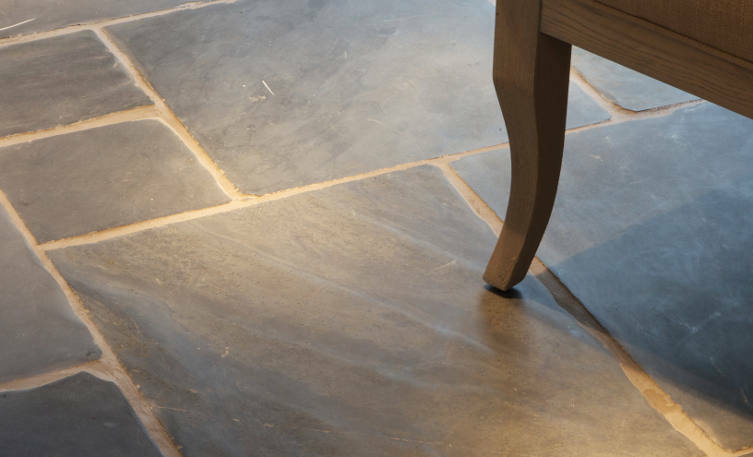 Some of the other minerals found in slate are very similar to those found in granite, which makes slate tiles a strong and durable option for flooring. 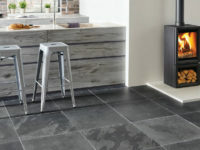 The natural makeup of slate creates a unique texture and a wavy pattern that give slate tiles a beautiful, natural look that emphasises the character and design of a room. 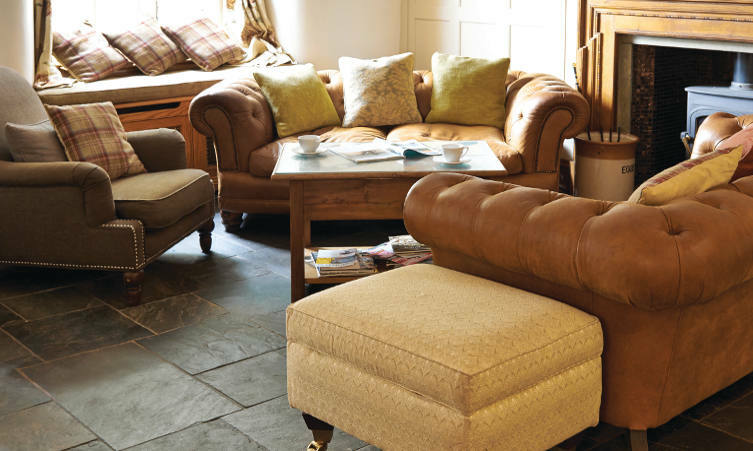 We stock a wide range of slate tiles for flooring in many colour and texture combinations that are suitable for all designs, whether contemporary or period. 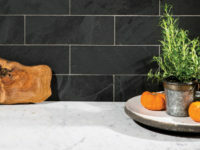 Slate comes in a variety of natural colours, most famously grey but you can get slate tiles in shades of green, red, black, purple and brown – depending on the mineral makeup of the stone. Slate tiles can also be cut into different shapes and sizes allowing for a custom design and unique look in any space using slate as a material. 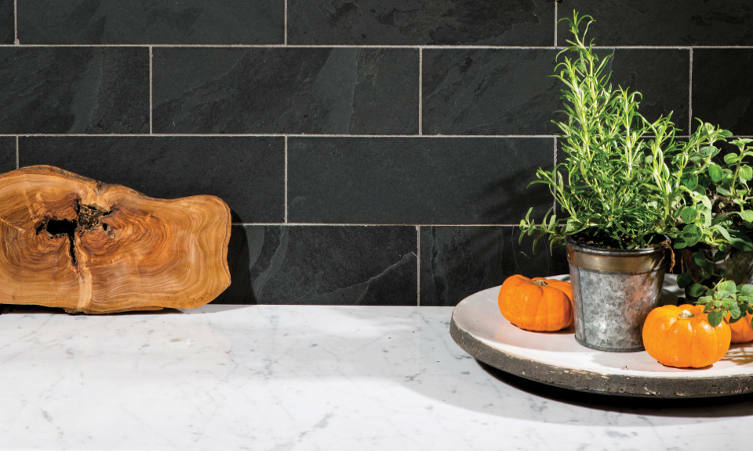 Overall slate is a versatile stone that can be used for a number of different reasons and gives rooms a natural look and feel. 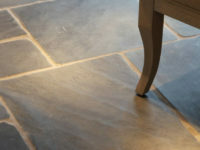 Our Reigate showroom has a number of different examples of slate tiles on display, so if you are interested in discovering more about slate you can visit the showroom today. 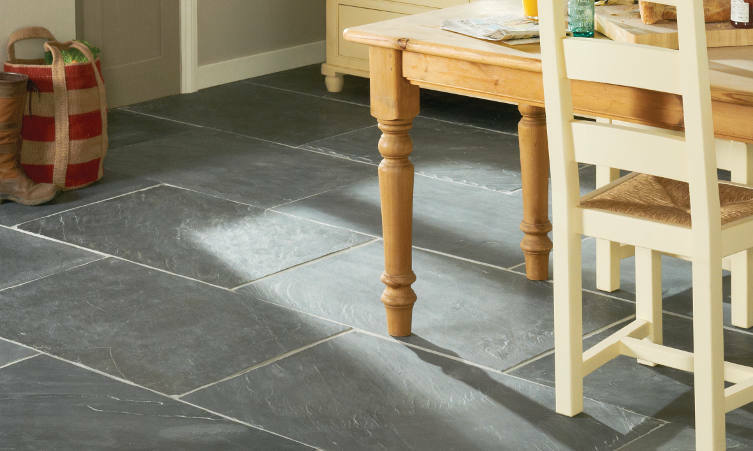 Slate floor tiles look fantastic in any room, however to keep this appearance they require some care and attention. Following a simple cleaning routine ensures that slate continues to look good and bring you joy through the appearance of your rooms. A dust mop is the most useful tool for any owner of a natural stone tile and comes in handy for a range of uses. 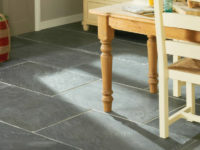 Before using the dust mop you should sweep your slate tiles with a broom to remove any loose dirt from the surface. After this you use the dust mop and move consistently around the floor – although avoid moving back and forth as this can move the dust around. There should be a minimal risk of marking or scratching the surface due to the smooth and flat surface of the mop. 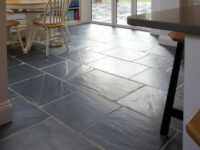 After removing all dirt and dust you can mop the floor using an all-purpose cleaning solution to give your slate tiles that final clean look. The Stone Tile Emporium stocks a large variety of Slate floor tiles and Slate cladding tiles that will bring out the best in your home. You can visit our showroom in the centre of Reigate to see our tiles in person and ask any questions you may have, for details on our showroom please visit the Contact Us page. If you would like to find out more information or enquire about slate tiles you can also call us on 01737 223922 or complete the enquiry form on the right hand side of the page. One of our friendly team will be able to assist you and answer any questions you may have on our slate tile range or our extensive range of other options.